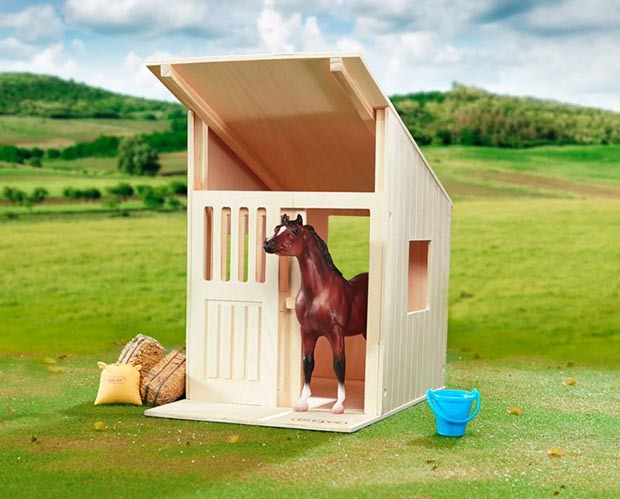 If you have a growing Breyer Classics horse collection, the Hilltop Stable makes the perfect home! Crafted of solid natural wood, this barn can be extended with the addition of more extendable barns, purchased separately. The barns can be arranged as an open shed row so horses have a view of the outside, or in a "horseshoe shape" stable, so they can see each other. 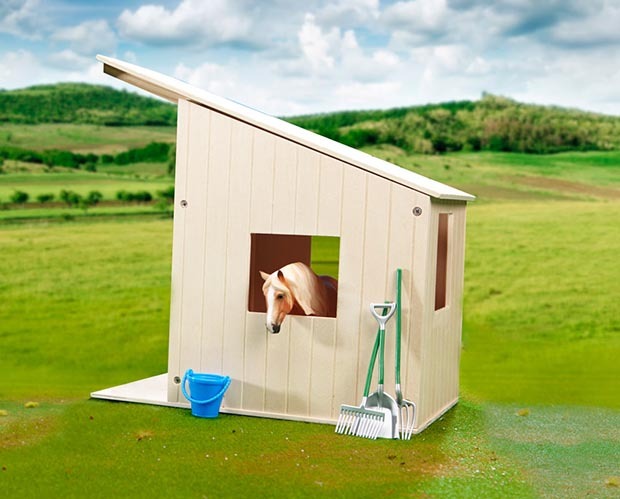 Each Hilltop Stable features a box stall with 3 windows and one sliding door. 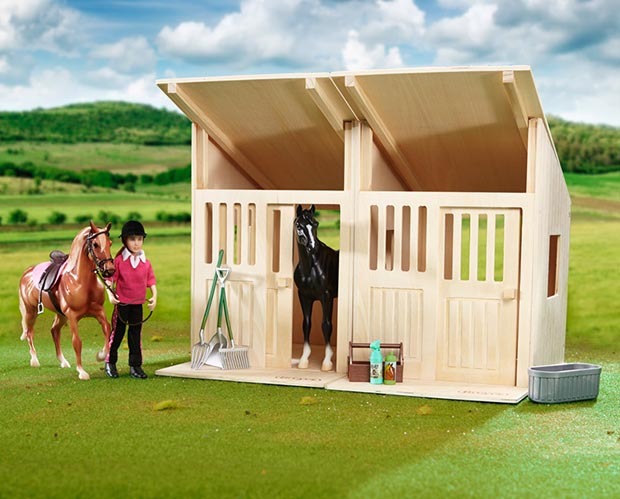 The Hilltop Stable can even be painted to your liking or left to weather naturally. 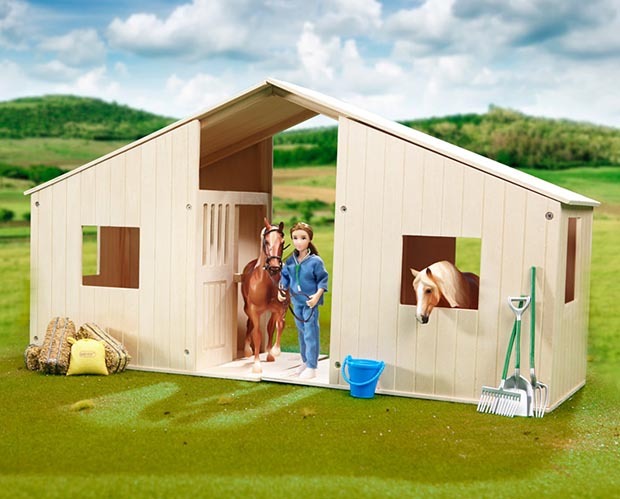 Note: horse, figure, accessories not included.Some images show 2 barns set side by side. Please purchase 2 barns if you wish to have this setup. Assembly Required. Assembled dimensions: 12L x 7.25W x 12.5H. Add a customized finishing touch to any model horse, just like in the real show ring! Cleaning the stable keeps your animals happy and healthy! Every horse looks forward to feeding time!